Do you love soda but hate shelling out the cash to pay for it? Well, you’re in luck. This budgetologist has figured out how to get free coke, pepsi, sprite, you name it at any fast food restraurant with very low initial cost — not more than two dolla. The first step is to order a soda at a fast food restaurant. This will be your only start up cost and will range from a dolla to two dolla and some amount of cents. Pay it, it’ll be worth it. For this example, I’ll use this Jack in the Box cup I bought about a week ago. Now, it gets real simple. All you have to do is keep the cup. Whenever you have a soda craving, simply walk into Jack in the Box and refill your soda. Any day. Any time. I wash out the cup with water in between to make sure it stays clean. None of the store workers will question you — you could’ve just gotten it in the drive thru and now you’re refilling it before you leave again. 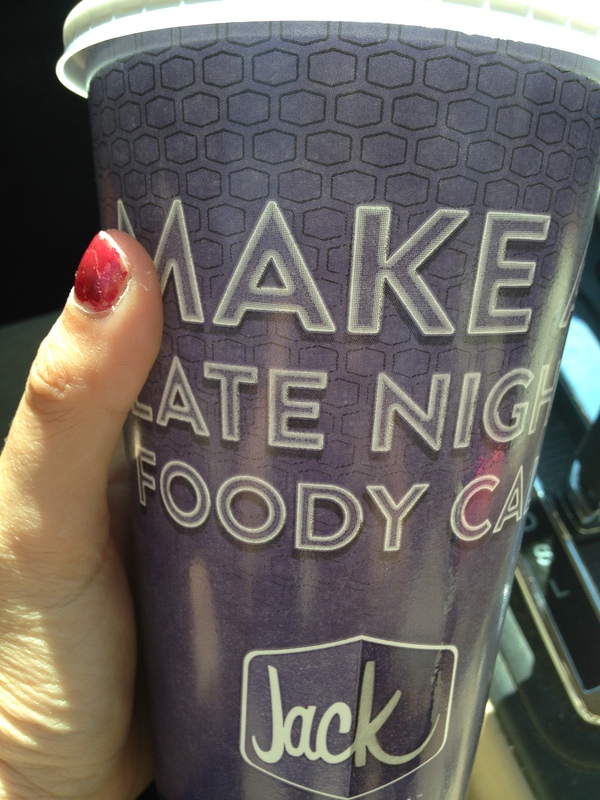 If you want to get real fancy, you can continue acquiring cups from different fast food places. Whenever you need a soda, simply go into your trunk and pick the fast food cup that your closest to. This is a fool proof and simple way to get non-stop soda for only an initial buck. You can also use your presence in the place to get free sauces. For example, this budgetologist was at a fundraiser and bought some tri-tip (I forked over the money because it was for a good cause.) The tri-tip was dry though! And desperately needed BBQ sauce. So, I killed two birds with one stone. I saved money on soda by walking into the building and filling my cup full of free coca-cola, then I simply asked the cashier for BBQ sauce. It made my charity tri-tip more delicious and satisfied my coke-craving all in one trip.